The inaugural Liberty Wave Open Water Swim will be held in Singapore. Liberty Insurance has been getting actively involved in the sponsorship and organization of the emerging sport in Singapore. 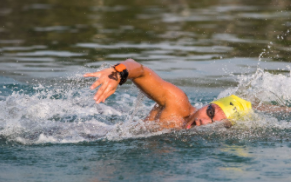 Chang Sucheng, Liberty Insurance's Chief Executive Officer said, "Singaporeans love a challenge and we believe that open water swimming is a new and exciting sport that will challenge them to their limits." "It is always great to see national governing bodies work with private companies to enable events like the Liberty Wave offer open water swimming opportunities to all levels," said Steven Munatones. "Based on events like this, a strong foundation for the future is set. 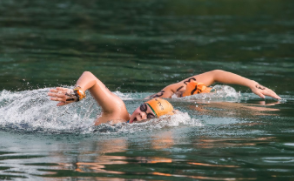 With short introductory races for children and longer and more competitive races for emerging swimmers like Benedict Boon, the sport of open water swimming in Singapore is well-positioned to develop on the local and international level. When athletes, coaches, parents, officials and administrators can raise their level of awareness, education and motivation, the entire open water swimming community is improved." The Liberty Wave is a 3-day event with races, clinics and seminars, sanctioned by the Singapore Swimming Association, between September 29th and October 1st. The races include a 300m children's race, 1 km, 2 km, 4 km, and 4 x 1 km relay. Liberty Wave, held at Casuarina Grove in East Coast Park, is open to both domestic and international swimmers who can register at www.libertywave.sg.